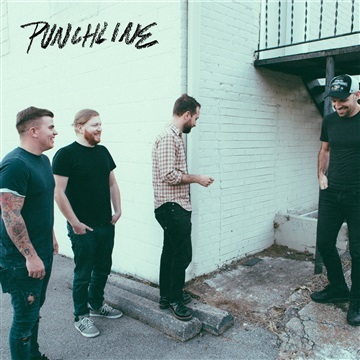 As songwriters, Punchline has never shied away from exploring the full gamut of styles and emotions. “Friend From The Future” is the upbeat first track off of their new album LION, and it presents listeners with the interesting thought of meeting the version of yourself from 5 years in the future. “Darkest Dark” is another song from the new album, and it serves as a love letter to those who have seen us through the hardest of times. “Tell Me How You Sleep” is an all-out, lush electropop tune that details a strange trip, and “Thrilled” is the motivational title track from the same 2015 album. “Universe” — a heartfelt ode to love in outer space — is arguably the band’s most popular song, and part of the band’s 2012 EP So Nice To Meet You, which peaked at #1 on the iTunes Rock charts upon its release. “Castaway”, which is the last track off of Punchline’s 2009 album Just Say Yes, is a dreamy and relatable ballad that was recorded at Madison, Wisconsin’s famed Smart Studios.